Are bots killing jobs, is your job at risk and what can businesses do to make the most of the AI tsunami. Let’s assume you work for the sales department of a large and thriving SaaS company. You fire up your laptop to start the day, but unfortunately, you know you’re very late. You expect to see lots of missed opportunities in your inbox. Prospects looking for answers and abandoning the site when they don’t find the information they seek. But lo and behold, instead you discover two callbacks on your dedicated VOIP number. From people who have downloaded lead magnets and are seeking to explore a particular feature set of your product. Suddenly you go from possibly overwhelmed and mad at yourself for missing leads to happy and productive for the rest of the morning. So, what’s the magic here? How did a potential disaster turn into something that’s actually to your (and your business’) advantage? The missing link is your standard AI-powered chatbot. Nope, I am not talking about the rudimentary (and slightly annoying) bots that you see popping up on more and more websites. They are just Live Chat functionalities with a shoddy make-over. But truly well-taught chatbots, strategically deployed, prove to be gamechangers. They can not only say “hi” to prospects and stand-in for missing human agents, the more sophisticated versions can even detect hesitance based on prospect actions, remember context – as in what happened in the past – and communicate (almost) like you. The result? Chatbots sharing your VOIP number with a lead who has previously downloaded a whitepaper and is back on your site for more. Competition or Convenience? That’s the Question. The World Economic Forum has spoken. Robots and AI will displace 75 million jobs in the near future. But that’s simply looking at one side of the story. The other, brighter, chapter is – these same technological advancements will add more than 133 million vacancies to the economy. And these are just the jobs that are accounted for. With every wave of advancement, the marketplace expands. Productivity skyrockets. People find it easier to make and spend money. Those with latent skills – or skills which were not valuable till a suitable platform arrived, create a whole new industry and myriad new streams of prosperity. In the past, there has been a choice – to view progress as a convenience or a competitor that is out to swallow jobs. Human thinking has always been the privilege of well, humans. And as such the momentum generated by technology has ultimately served us, thanks to individuals who dared to dream of bigger possibilities because of the “better” tools. Is this time different? A study by Forrester shows that 1 in 4 jobs in the world will be impacted by AI technologies, including intelligent chatbots by 2019. Gartner further elaborates, “By 2020, 85% of all customer interactions with a brand will happen without human intervention”. Professional platform LinkedIn has found that fields related to AI – like machine learning, natural language processing and neural network engineering – are growing faster than anything else out there. Artificial Intelligence works! Its commoditization isn’t a pipe dream. The future is right now. And if chatbots can truly assimilate the spirit of AI, they can graduate from acting as interactive FAQ pages to becoming reliable brand touchpoints for prospects. What sets this cycle of progress – displacement- betterment apart though is the bold encroachment of tech on the sacred human territories of thought, context and autonomy. The machines that displaced farmers and factory workers couldn’t think for themselves. They couldn’t adapt to changes in the external environment without help from their human supervisors. We could leverage them as work horses to plod through things we didn’t want to. The displacement of jobs was thus restricted to manual labour and in particular – rote and repetitive tasks. When computers creeped into banks and hospitals, they weren’t dispensing investment advice or taking on medical consultations. Yes, these devices could search thousands of books at lightning speed and offer data for consideration, but the ultimate decision, the sign-off, the deduction was entrusted to a human. The whole premise of artificial intelligence and chatbots is threatening because they look to mimic human logic. In short, any task that doesn’t require very specific know-how and spontaneous decision making can be taken over by chatbots and robots with a thinking cap on. 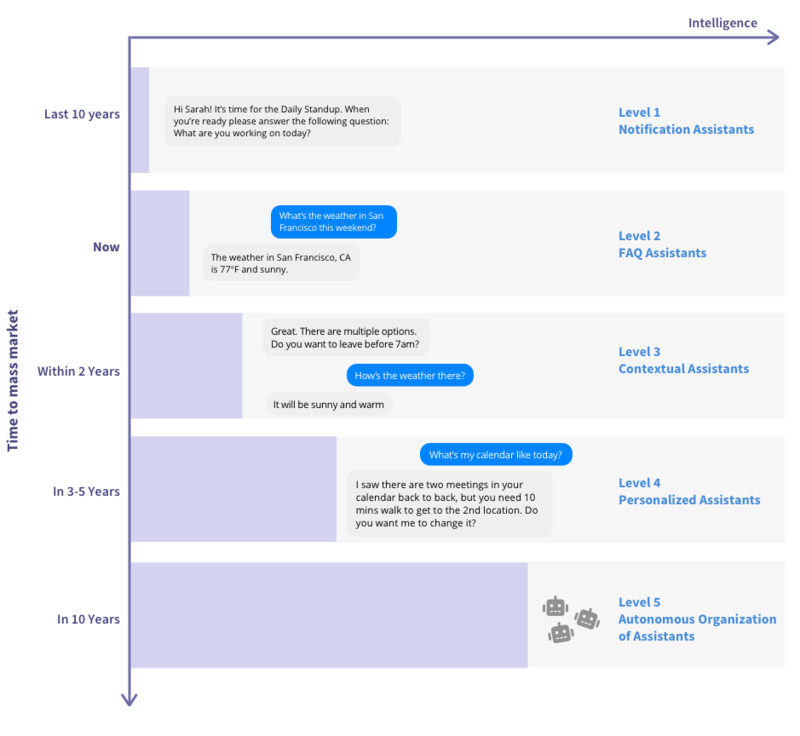 Returning to our opening example of the tardy sales executive, if the prospects who are looking to connect with him simply want a breakdown of what certain features can accomplish – a chatbot will prove as effective as the human. Perhaps more. A human can forget benefits and implications. The bots won’t. But let’s dig deeper into the scenario. First and foremost, the prospects may not be comfortable continuing a complex conversation with a chatbot. The default preference might be a good, old human. There are lots of controversies around deception and if a chatbot (or any AI entity) can masquerade as a person. Most people are wary of being duped. Secondly, picture this! The prospects hail from a cultural background where asking too many questions is frowned upon. In an interaction with a bot, these individuals will give up on the conversation because of their innate inability to be thorough and direct about their needs. Even if the bot is a level 4 personalized assistant and understands that the humans on the other side are from a particular country and thus will display certain quirks. They will be able to negotiate closes on deals that a bot finds underwhelming! In short, interpersonal skills and understanding nuance are attributes that only humans can possess, at least in the near future. Bots: From Dumb to Smart. But Still Not Human. It isn’t wise to stick our heads in the sand or try to hinder the development of AI. Measures like taxing the income generated by chatbots that displace human jobs are being considered. Resolution is still far away. For businesses, it doesn’t make sense to pass up on the benefits AI chatbots can bring. However human employees don’t need to be sacrificed either. There is a happy medium that can be achieved with a three-pronged strategy. Make the introduction easy. Automation anxiety is real. And it breeds mistrust in the workforce. If your talent believes that bots are vicious additions to the company line-up and should be disabled on sight, then go ahead and start simple with a friendly bot that innocuously improves productivity. CakeHR’s slack bot is a great example of convenience that isn’t perceived as competition. Employees get to experience the first-hand advantage of booking vacations without asking managers and feel better disposed towards bots in general. Re-skilling is VITAL. Yes, it is important enough to warrant the all-caps. The onus is on the Human Resource department which must think outside the box. People are complicated creatures. And often what someone does at work, is not something that individual does best. Through personality evaluations, mature aptitude tests and even breakout sessions with professional coaches; employees filling at-risk jobs can discover new areas of the business they are interested in and absorb the training and know-how to try roles in these domains. Structures like Holacracy are naturally supportive of such transitions. Re-orienting is non-negotiable. Re-skilling has to be accompanied by re-orientation for the maximum impact. We don’t want an uneasy truce with chatbots and AI. We need enthusiastic participation and the cooperation of humans. When ATMs were introduced and barcode scanners made an appearance, the number of employees in banks swelled. Despite the fear that these upgrades would make tellers and cashiers obsolete! In reality, since productivity improved and less time was spent on correcting human errors, the financial institutions started diversifying the portfolio of what they could do for customers and opened new branches. These expansions found more than enough room for displaced employees if they were willing to work with the technology. Employees today must embrace the fact that they’ll be doing things differently – but it will still be work that’s valued and for which they are paid well. They’ll probably just finish their day early, have the bots cover up their mistakes and in general find AI entities to be better colleagues than their human peers. The development of chatbots is a by-product of the progression of Artificial Intelligence. We are at a pivotal moment in history when we can either recognize AI for what it can be – an excellent complement to human cognition, or take ourselves back by decades in a stubborn bid to shut out improvements. How to Keep Your Brand Name Intact With Live Chat Software?